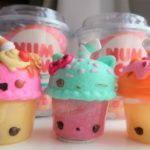 Mothering Sunday is coming up and I have put together an affordable, easily available gift guide to give you some inspiration if you are stuck for gift ideas. Sesky Embrace perfume *- is embellished with Swarovski® crystals to add more sparkle to the already lavishly designed 12-sided bottle. A feminine gourmand fragrance which embraces the senses, Enchanting and seductive – glamorous and effervescent. Fruity top notes of Orange Blossom, Blackcurrant and Pear open into a heart of Iris, Jasmine and Patchouli before settling into a delicious swirl of Tonka Bean Vanilla Musk & Praline Accord. I love the smell of this perfume. It looks elegant and smells fresh and fruity. I do not personally like flowery perfume but this one smells really beautiful and isn’t overpowering. 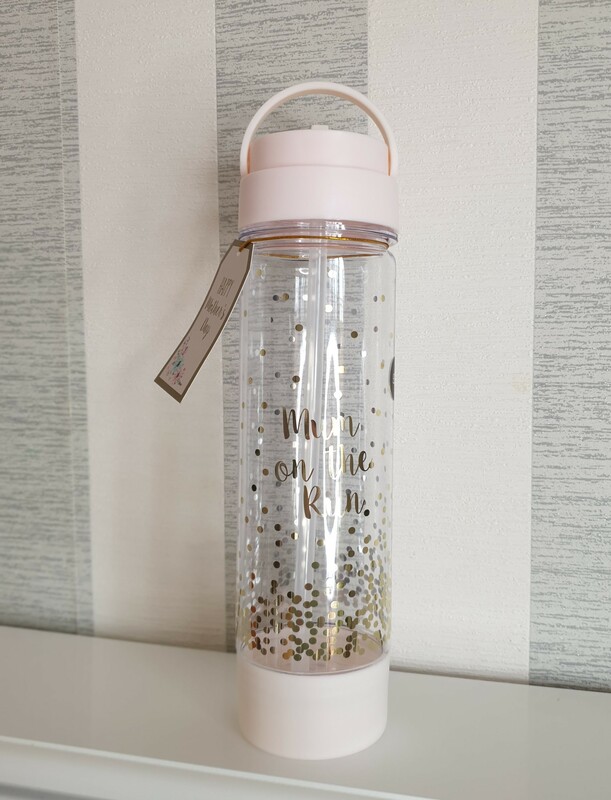 Mum on the run water bottle– This water bottle will help mum keep hydrated through the day, fitted with a handy pink flip top straw to prevent spillages. 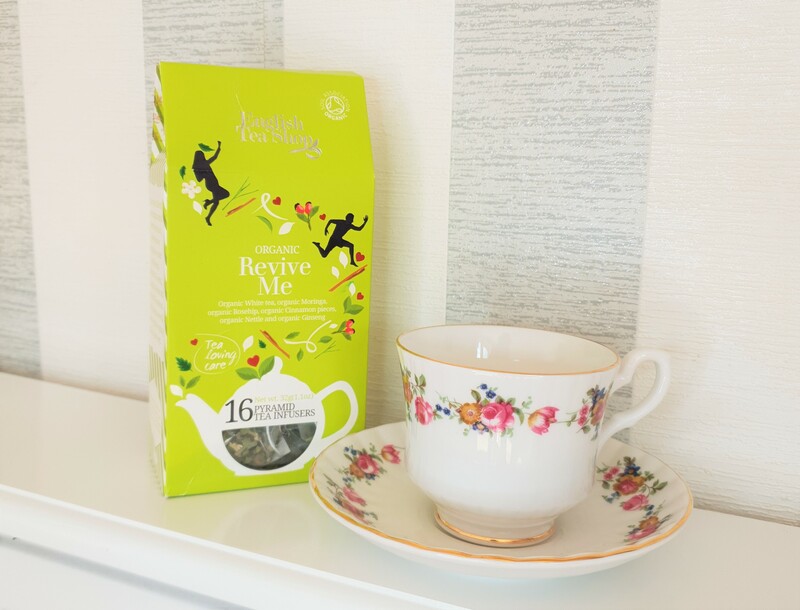 The design is decorated with metallic spot detailing and front slogan, reading ‘Mum on the run’. 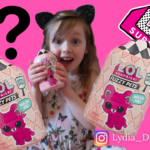 670ml. 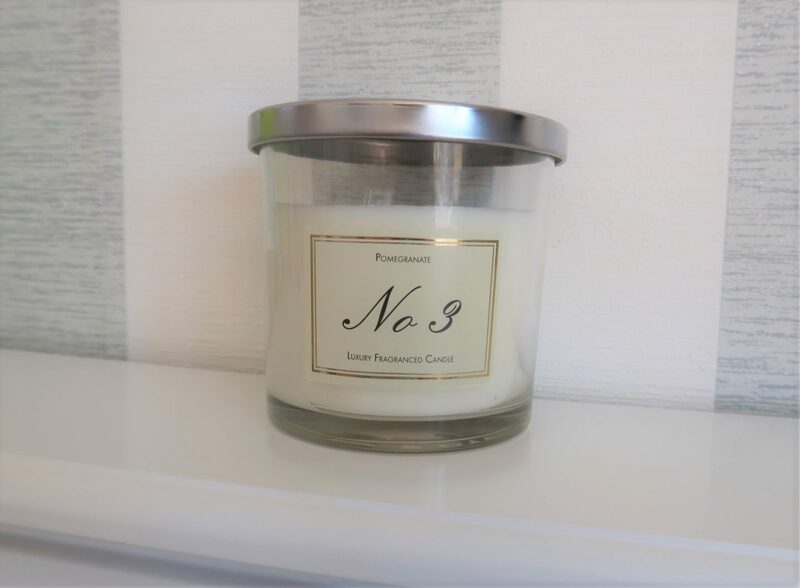 No3 Pomegranate Luxury fragranced candle -Bring elegant scents into your home with this Luxury Pomegranate Glass Candle Centrepiece. Floral Arrangement in Glass Vase- Display fresh looking flowers year after year with our range of artificial flowers and plants. 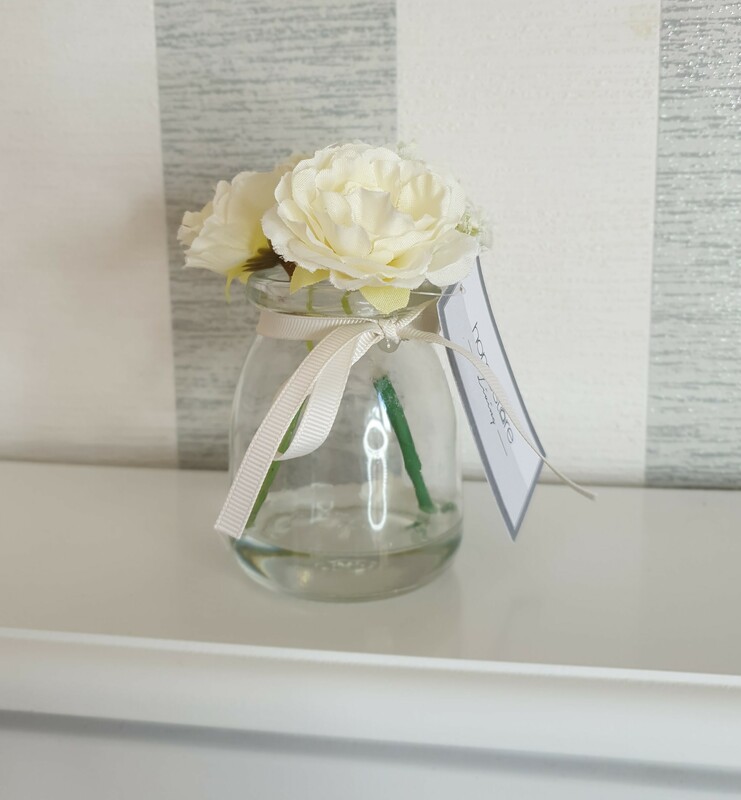 Nothing creates an inviting home interior more than a colourful floral arrangement, and we love this beautiful white bunch presented in a small glass vase. 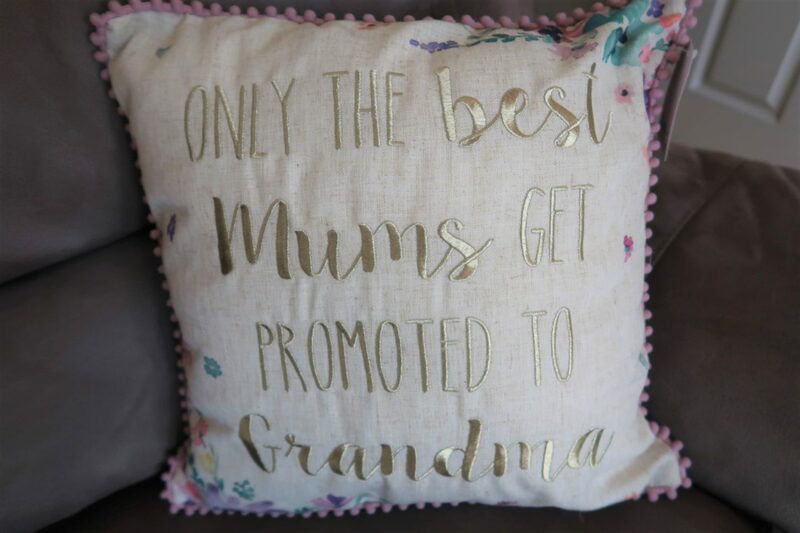 Mum/Grandma Cushion (available in-store only at Matalan) – Show Mum how much you love her this Mother’s Day with this pretty cushion. The lilac design features a gold printed slogan to the front, reading ‘Only the best mums get promoted to grandmas’. The look is complete with a pom pom trim edge. 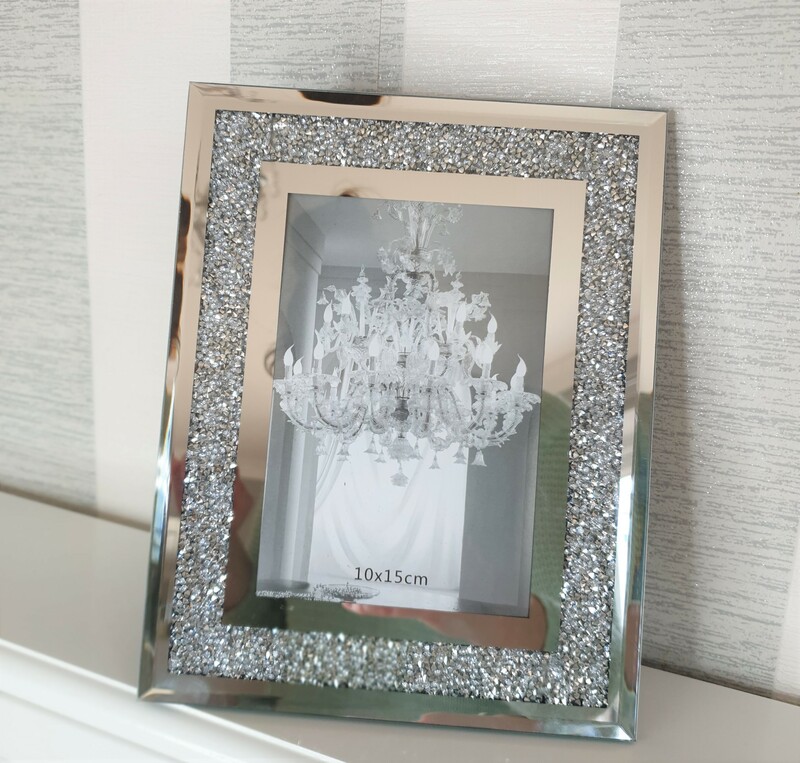 Crystal Effect Frame-(available in-store at The Range) -A beautiful gift idea or way to display your own treasured memories, this Crystal Filled Mirrored Frame is carefully crafted from reflective glass with a panel of clear crystals cascading down either side of your photograph. Complete with a stand, this frame offers the perfect way to showcase your special moment. 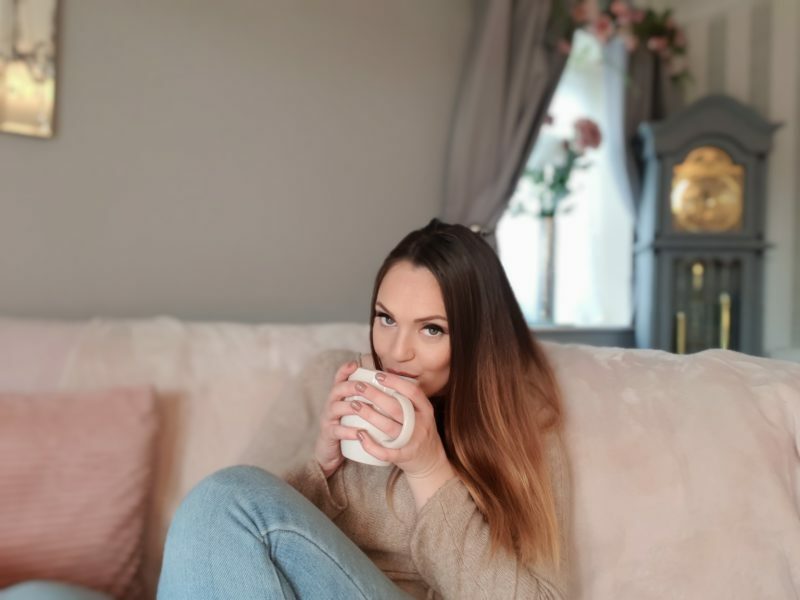 I hope you have found some inspiration with my Mothers day gift guide this year and I wish all mums and carers a lovely and relaxing Mothers day.